After a brief guest chef stint in Hong Kong last year, Simon Rogan returns to the city with two concepts set to open early 2019. The renowned British chef is set to transport his first overseas chef’s table and development kitchen concept named Aulis, tentatively set for a January opening, as well as Roganic, his celebrated farm-to-table concept featuring the season’s freshest produce, set for February, 2019. 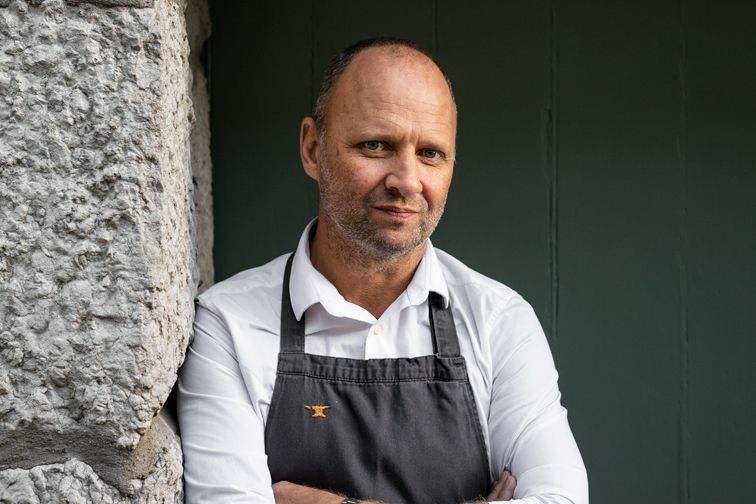 With over 25 years in the food and beverage industry, Rogan’s inventive cooking style has earned him a stellar reputation—L’Enclume, opened in 2002, and Rogan & Company in 2008, are some of the most highly acclaimed restaurants in the UK. He launched the chef-table concept Aulis in 2016, located inside L’Enclume, followed by a subsequent solo establishment in Soho. The Hong Kong branch of Aulis is set to serve 12 guests at a time, where guests can enjoy an eight-to-ten course experimental menu that showcases Rogan’s unique culinary vision. The tasting menu is priced at HK$1,480 per person with an option for wine and cocktail pairing for an additional HK$680 per person. Roganic began as a pop-up concept in London’s Marylebone from 2011-2013, but opened as a permanent fixture in 2018. Featuring Rogan’s wildly imaginative menu of innovative dishes prepared with the season’s premium harvest, the Hong Kong branch of Roganic will continue to promote its farm-to-table concept, paired with a rich selection of natural wines. This concept is set for its Asia debut in February 2019, sharing the same space as Aulis Hong Kong.